If you’re looking for another EIG-owned host affiliate program, Bluehost still has an active affiliate program. We wanted to let you know that we’ve decided to close the A Small Orange Affiliate program on December 31st, 2016. We want to thank you for your support of A Small Orange. We started this program back in 2011 with a small but mighty following, and have been floored by the support of our loyal affiliates. To that end, we hope that you’ll consider supporting and promoting another one of Endurance’s affiliate programs. 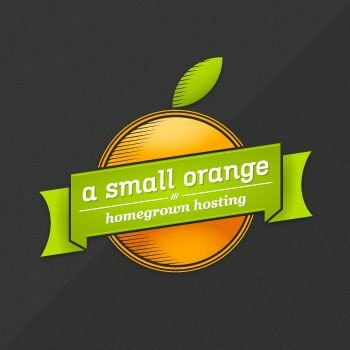 We’re recommending that A Small Orange affiliates promote HostGator. HostGator’s program is also in Impact Radius, and we’re happy to help with the transition. Below are the details about the HostGator Affiliate Program & here is a link to apply. Please note: if you are already a HostGator affiliate, you do not need to re-apply to their program. The HostGator Affiliate Program offers in-depth reporting, custom coupon codes & coupon code tracking as well as frequent sales and performance bonus opportunities! HostGator’s dedicated team of Affiliate specialists are available to assist you! We will continue to track and payout on referrals through December 31st, 2016. As of January 1st, we will no longer be commissioning on referrals. Any referrals made between now and December 31st will be paid out in accordance with the current payout schedule, after a 3-month locking period. Thank you again for your support, we really appreciate all of your hard work and support, and hope we can continue to grow together – at HostGator! Updated June 2018: Updated my list of recommended affiliate programs to replace the A Small Orange program based on my conversion rates among the dozens of programs I promote. Was wondering what happened to the ASO affiliate program, was searching for it and it completely disappeared off of their website. Thanks for sharing some alternatives, going to try out Siteground and see how it works out. Hope it works out 🙂 Let me know how it converts for you compared to your ASO affiliate offers. Arvixe, ASO, Ipage, Hostgator and many other belong now to EIG group. From what I know, there are other hosting companies that don’t belong to EIG group and still offer good service and manage to pay some affiliate money: Siteground, Stablehost, MDD hosting, Hawkhost… They don’t pay 100 – 150 for one sale, less than that, but the service is good. I have personally tested Siteground and MDD hosting. No complaints whatsoever.